ASPeCt is an expert group on multi-disciplinary Antarctic sea ice zone research within the SCAR Physical Sciences program. Established in 1996, ASPeCt has the key objective of improving our understanding of the Antarctic sea ice zone through focussed and ongoing field programs, remote sensing and numerical modelling. The program is designed to complement, and contribute to, other international science programs in Antarctica as well as existing and proposed research programs within national Antarctic programs. ASPeCt also includes a component of data rescue of valuable historical sea ice zone information. 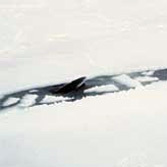 To establish the distribution of the basic physical properties of sea ice that are important to air-sea interaction and to biological processes within the Antarctic sea-ice zone (ice and snow cover thickness distributions; structural, chemical and thermal properties of the snow and ice; upper ocean hydrography; floe size and lead distribution). These data are required to derive forcing and validation fields for climate models and to determine factors controlling the biology and ecology of the sea ice-associated biota. To understand the key sea-ice zone processes necessary for improved parameterisation of these processes in coupled models. 2015-03-31: New data-acquisition software to be released. Check under Ice Observation Software. This page was last modified on August 21, 2017.